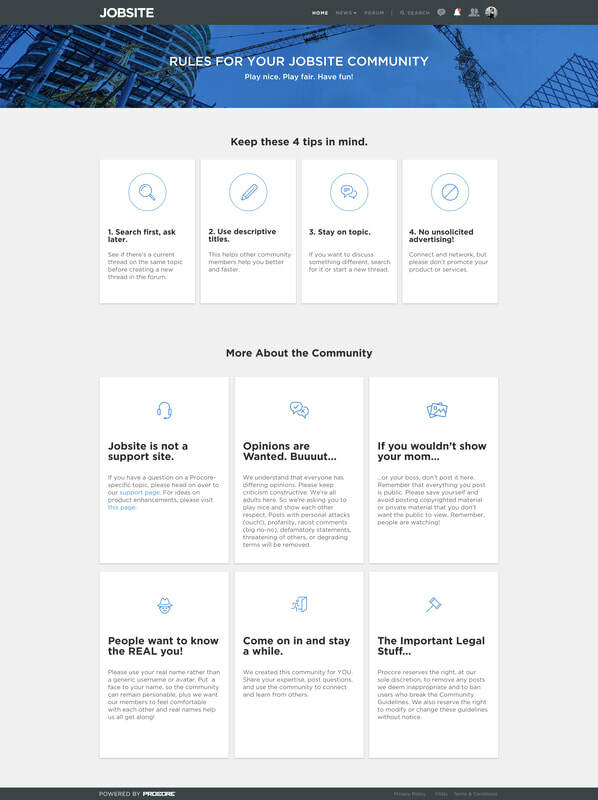 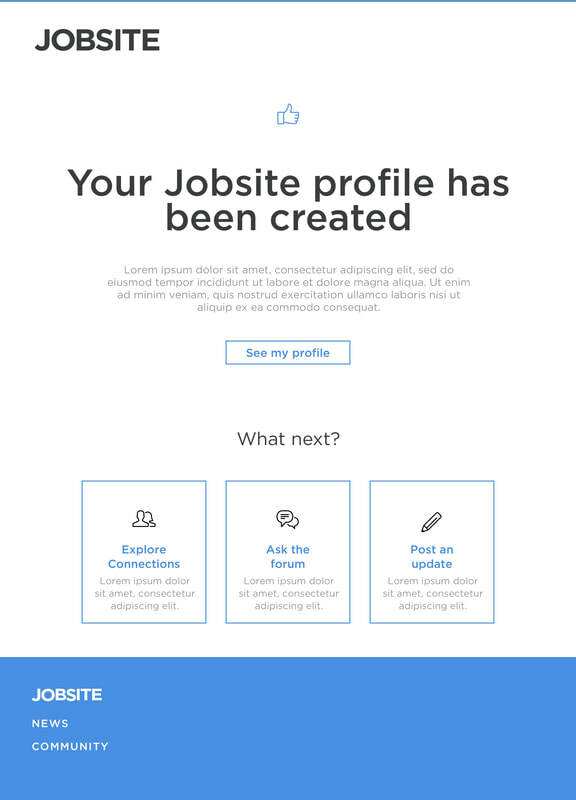 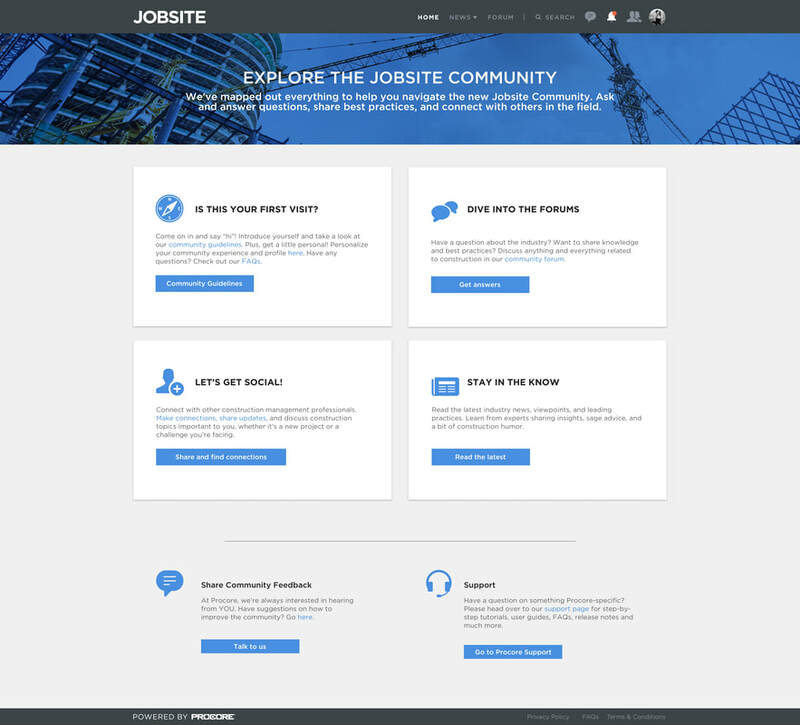 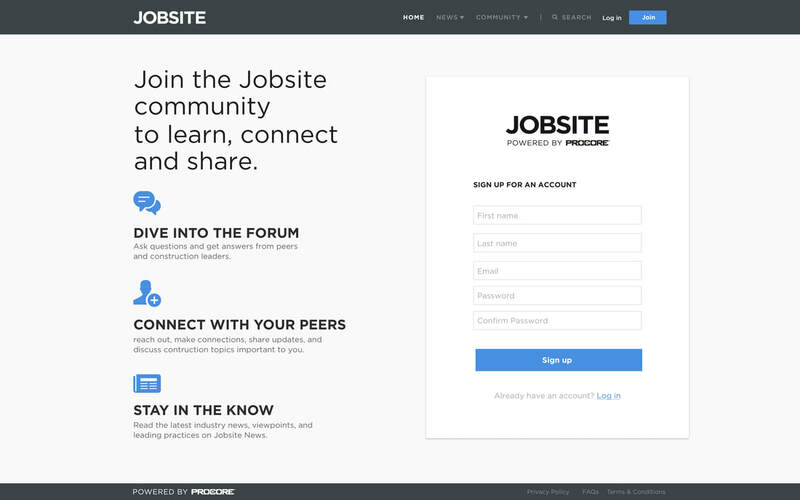 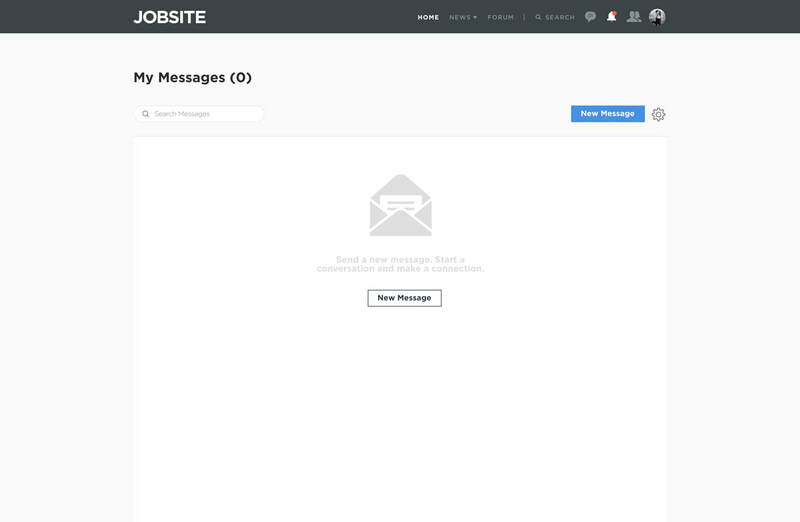 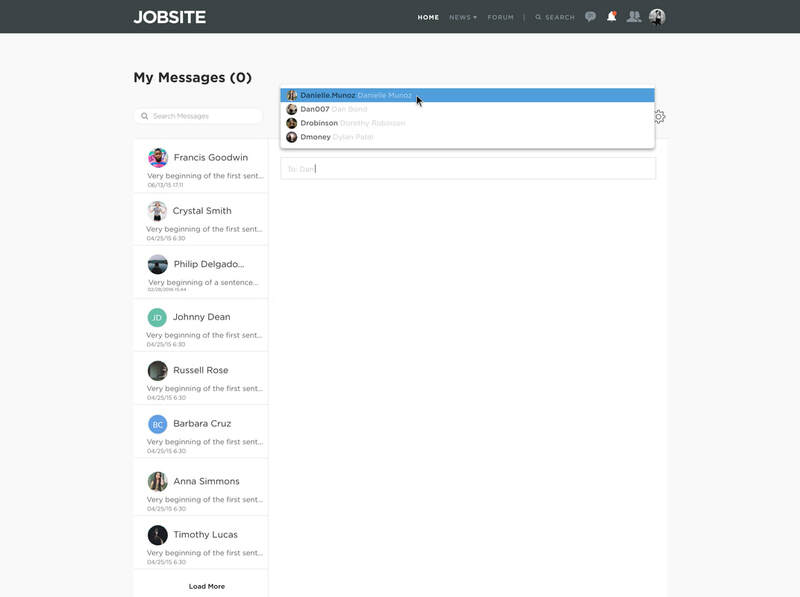 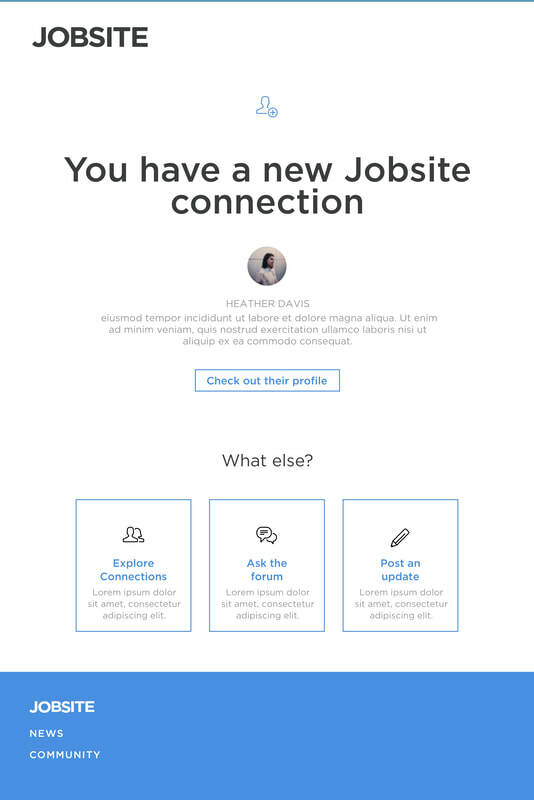 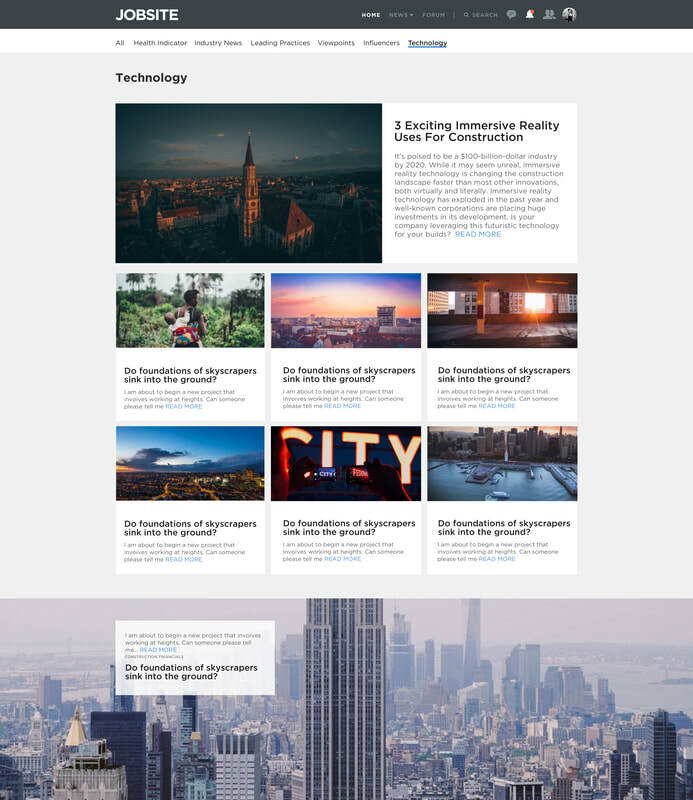 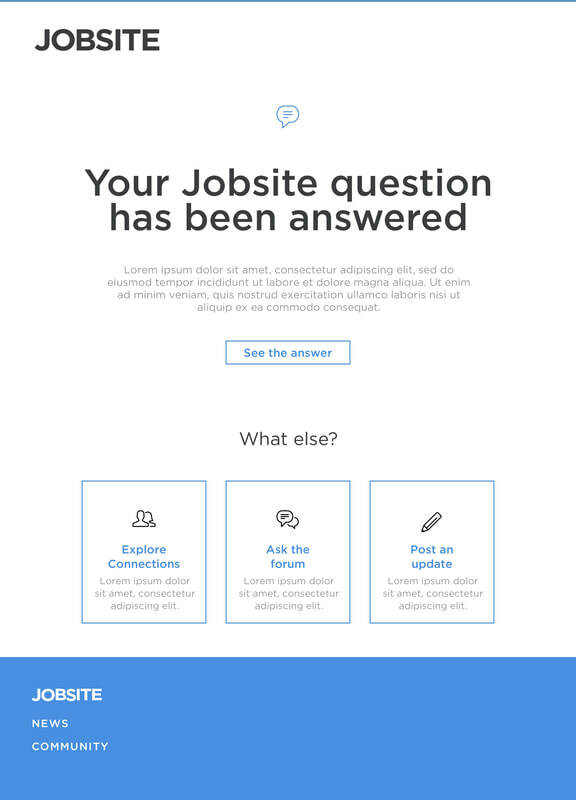 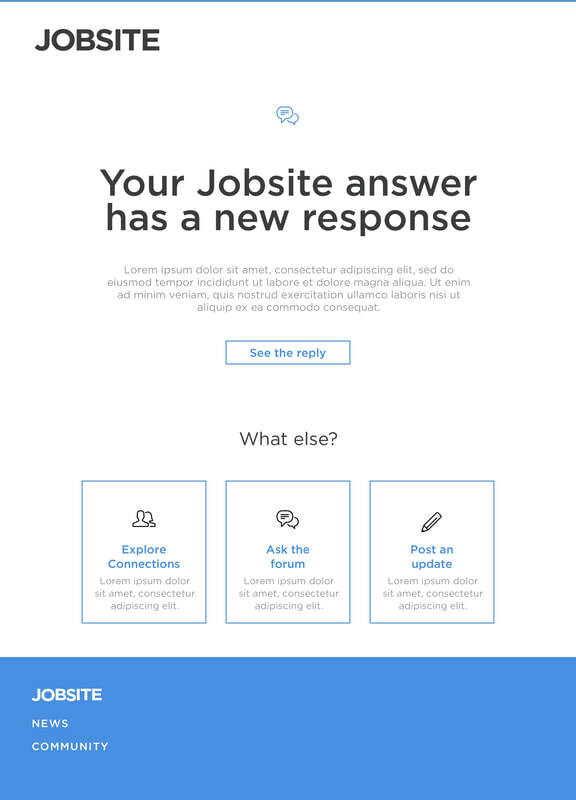 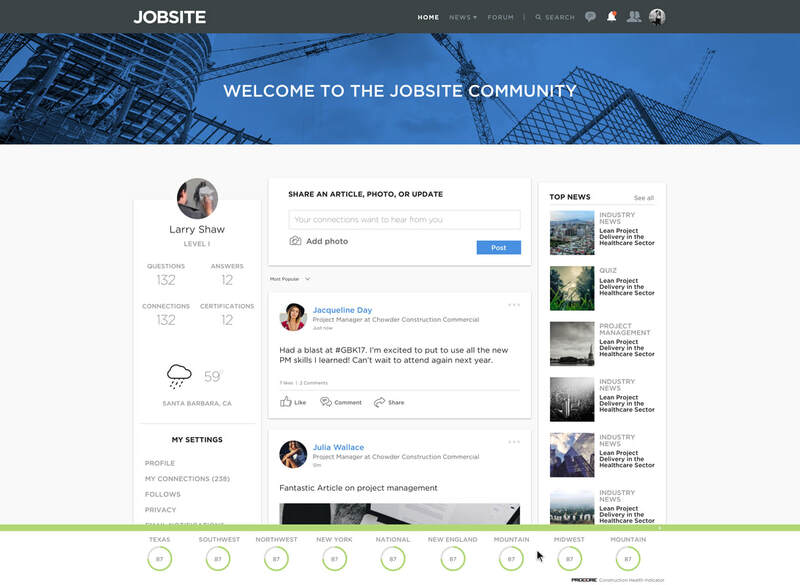 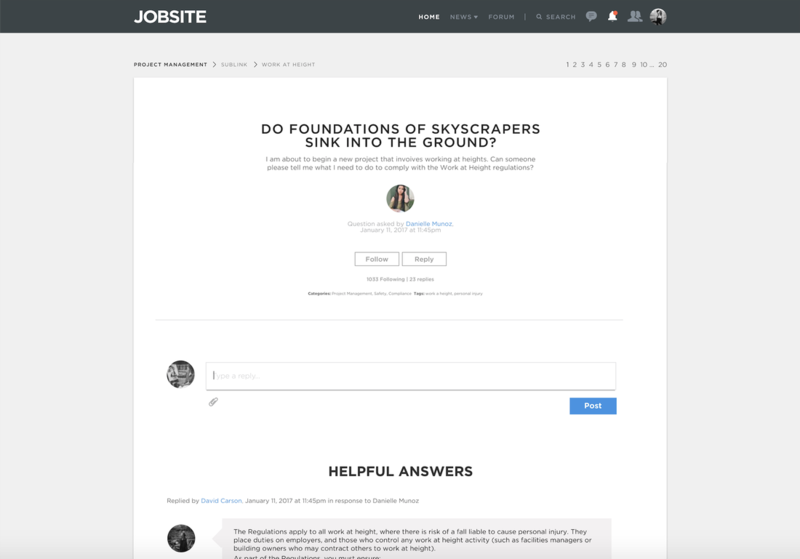 Create a community for Procore's Jobsite website​. 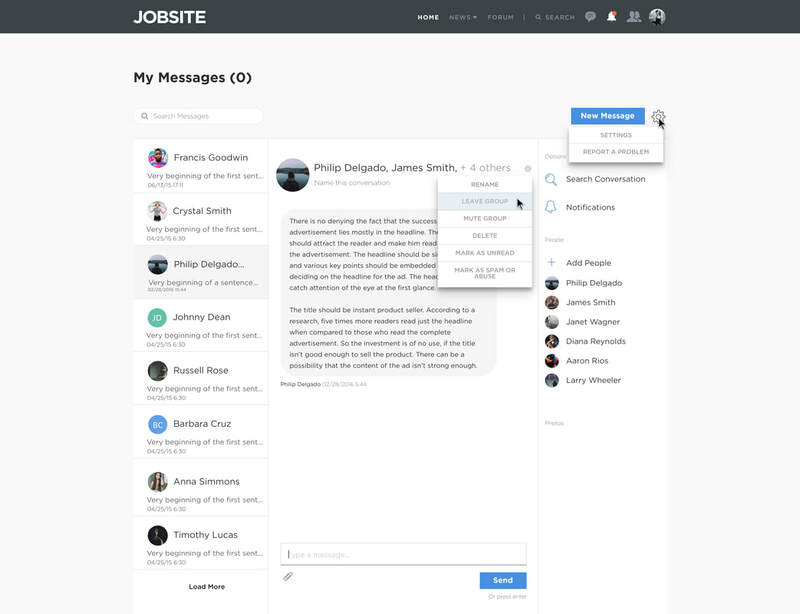 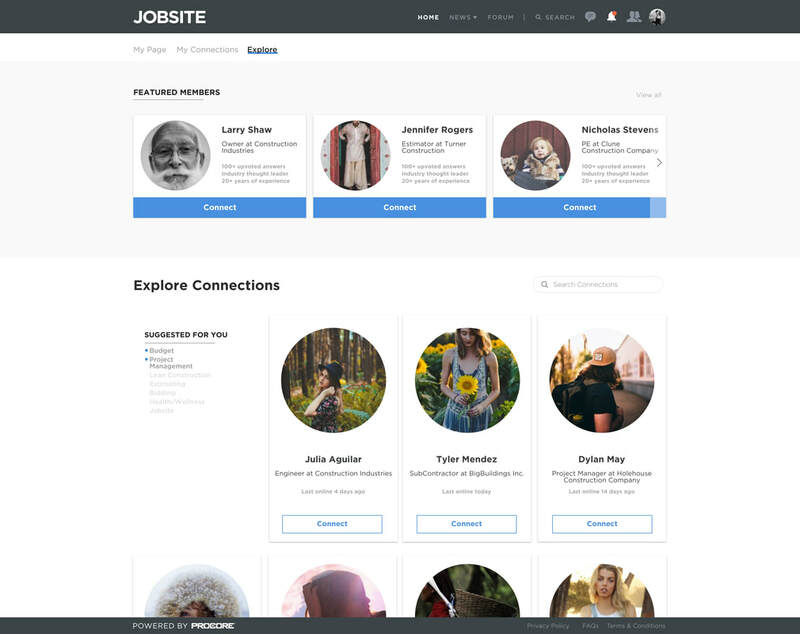 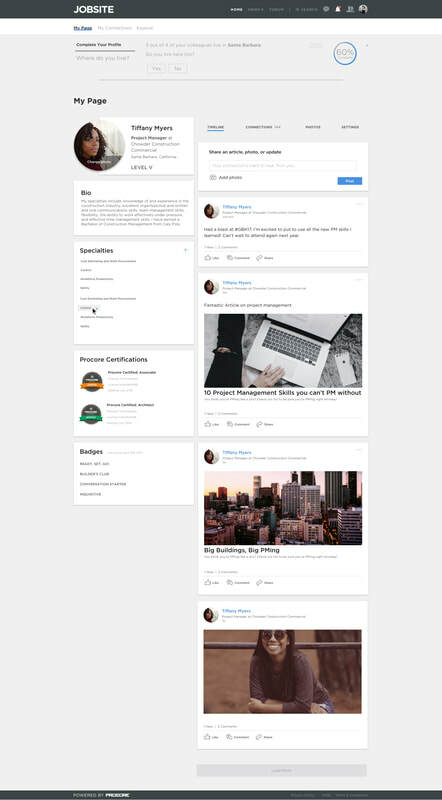 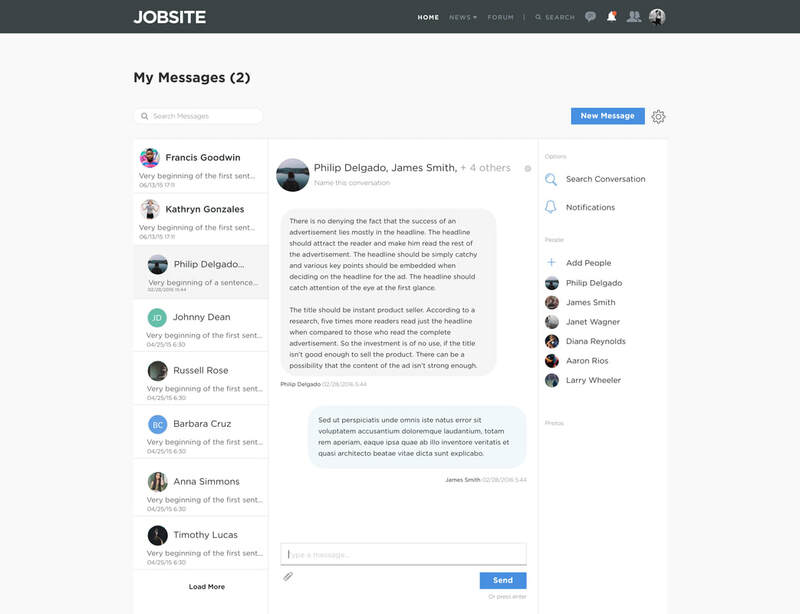 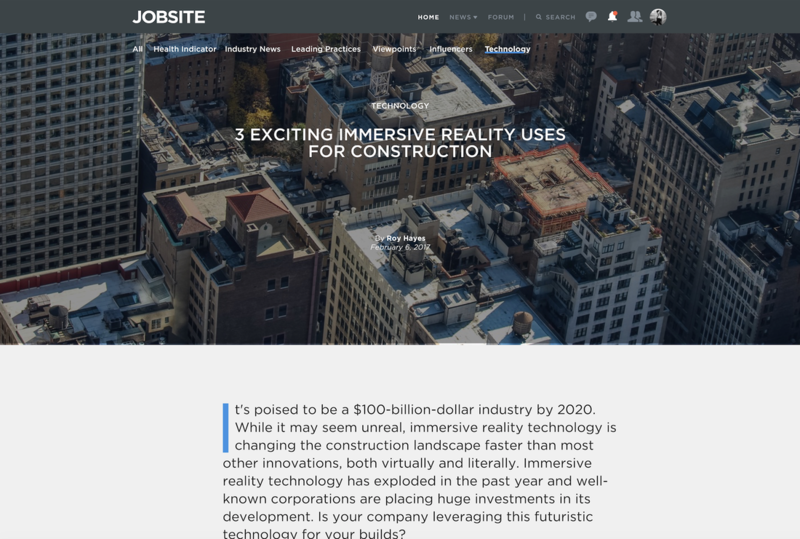 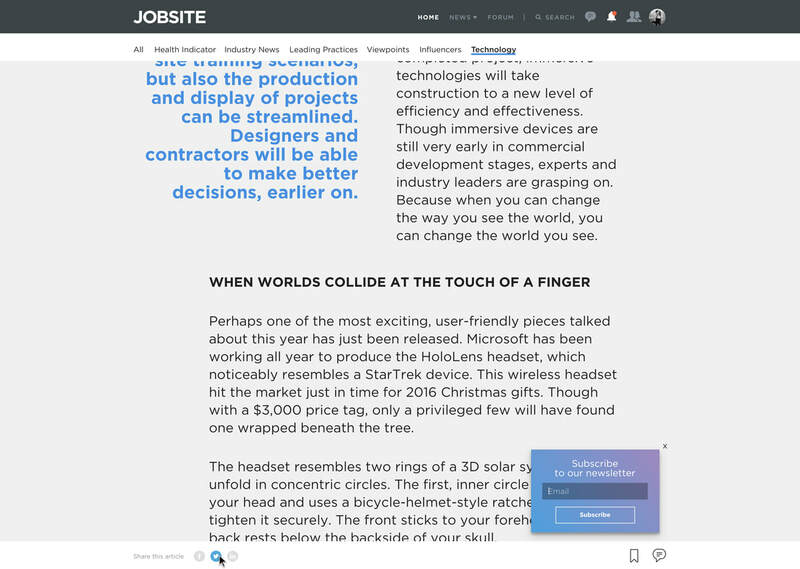 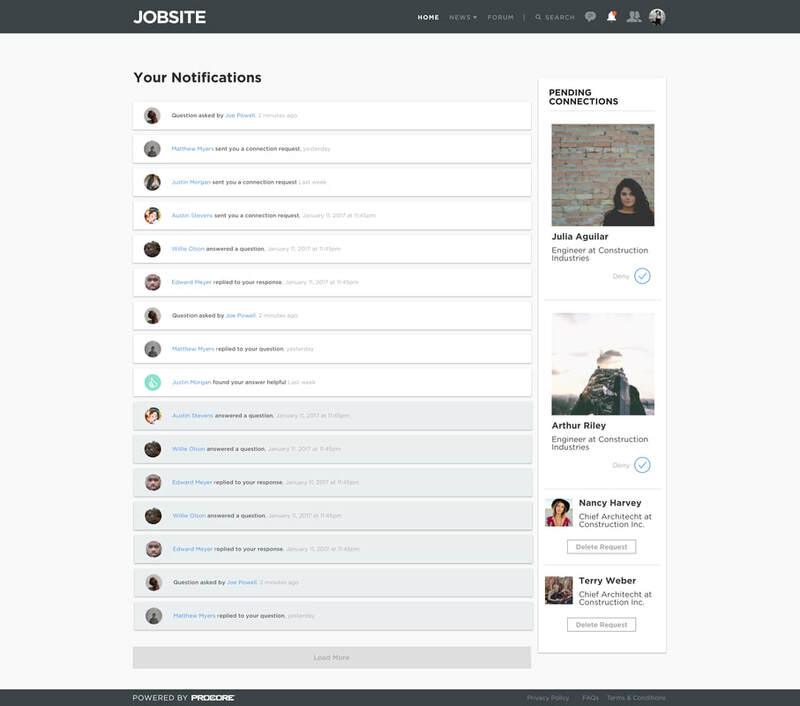 Procore's Jobsite stakeholders wanted to add more interaction to the Jobsite website, taking it from a news site to a forum based community. 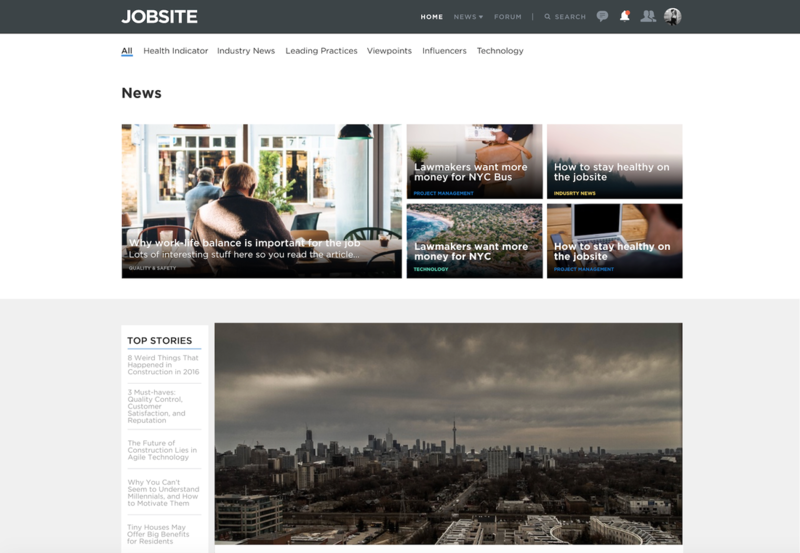 They wanted their readers to become users who create a community to network with, learn from, and display their detailed knowledge to. 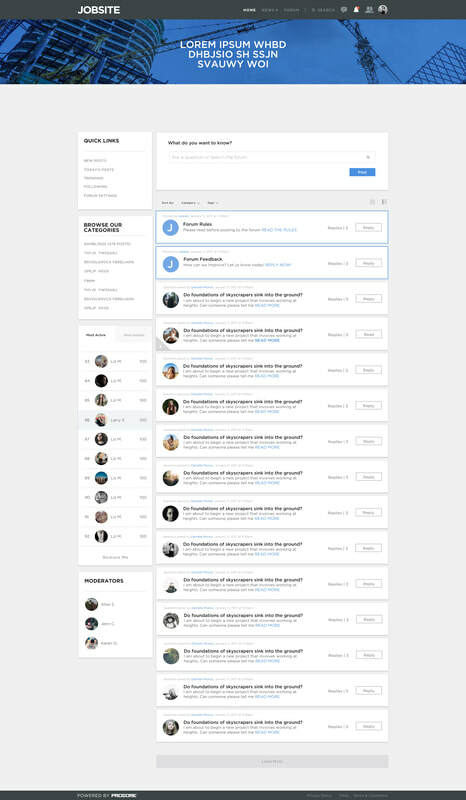 and answer others. 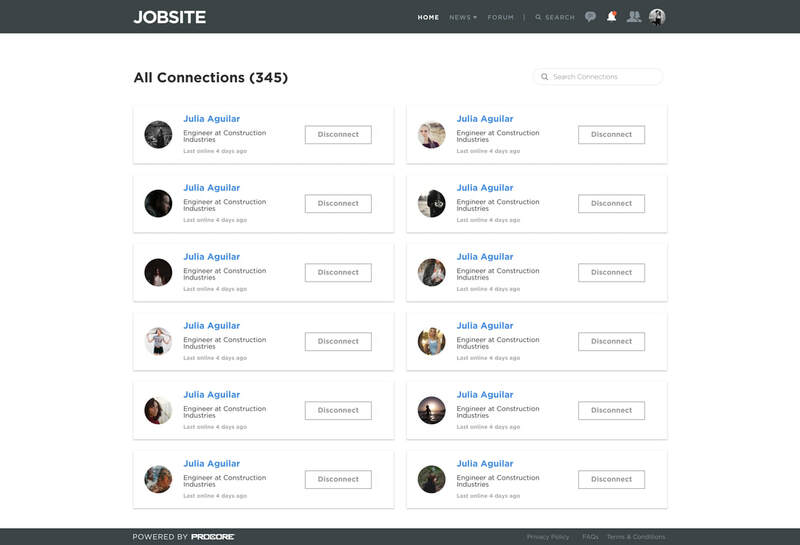 Along with the ability to create private groups for networking, project planning, or mere socializing. 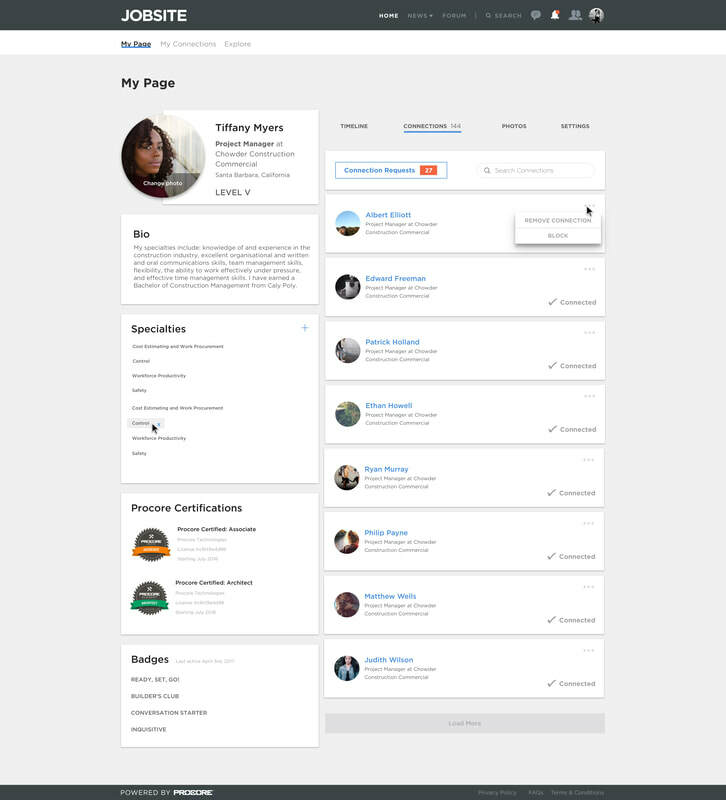 ​with a change in leadership who wanted to streamline marketing efforts. 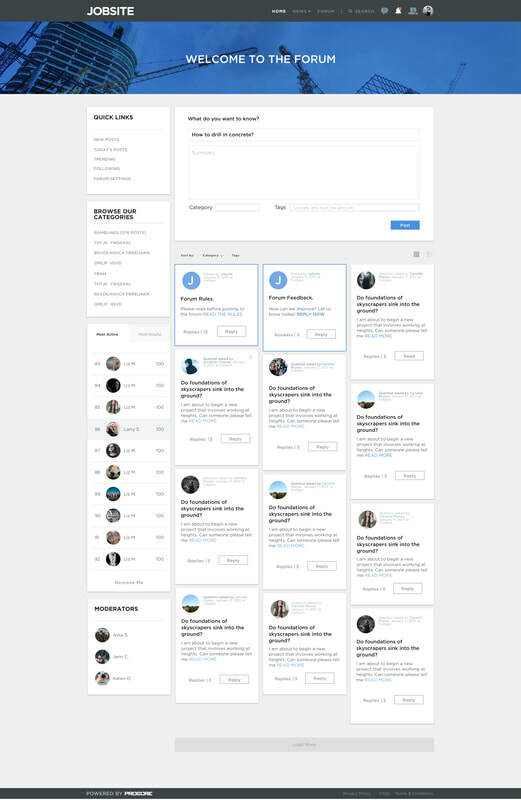 My Role UX/UI Design and Research. 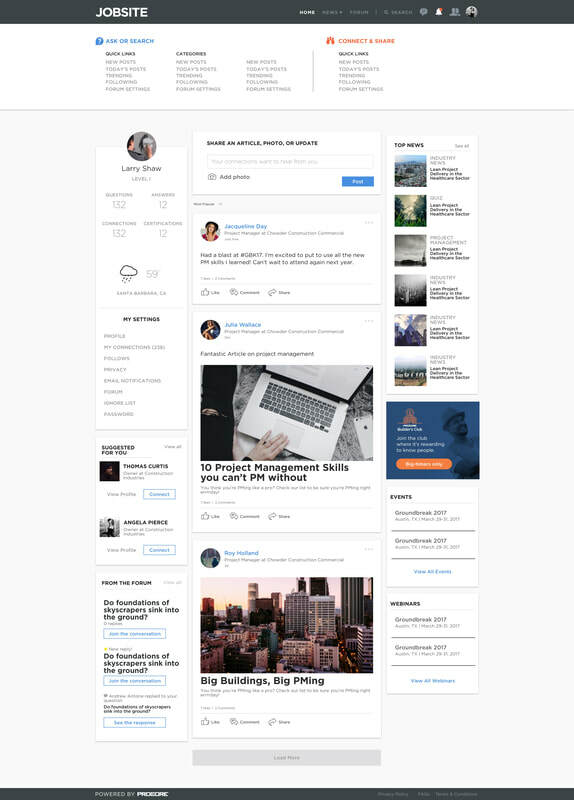 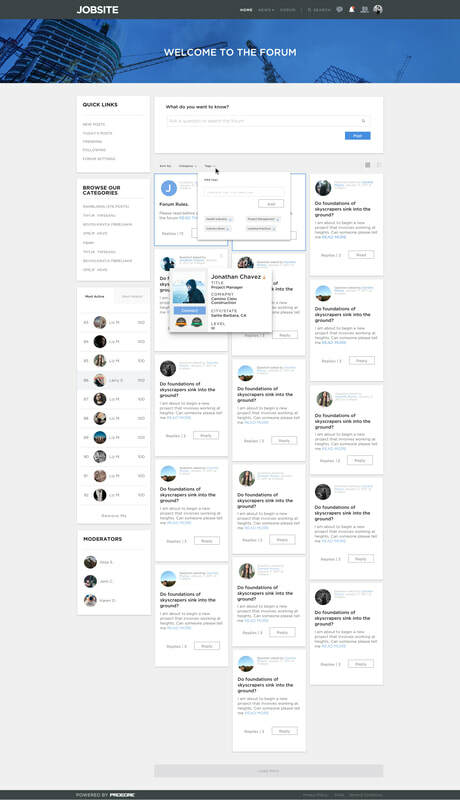 My role was to research forums via forum audits, build sitemaps off of user flows I mapped, wireframe, prototype via InVision, test, fully design all screens for the site and finally, pass the design to our developers via Zeplin. 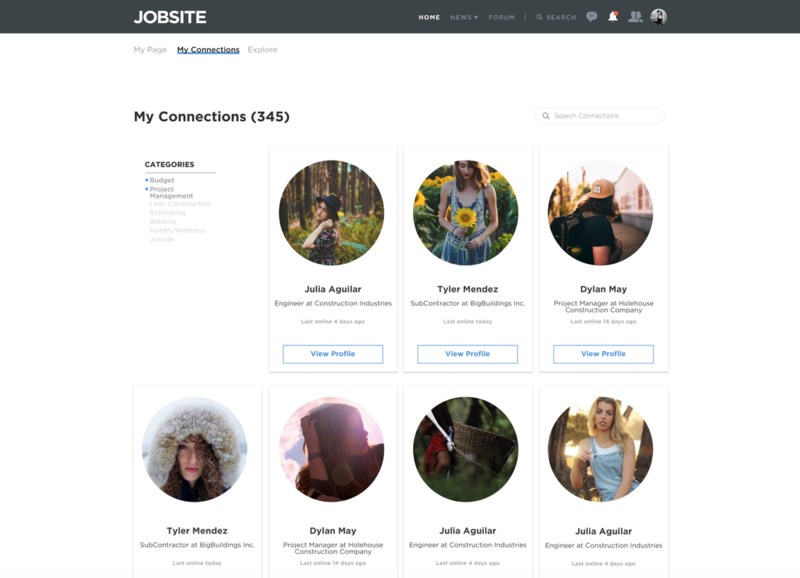 Throughout the process, I had to meet with stakeholders to drive the site additions and updates to meet their goals, as well as present design concepts for approval from our Creative Director and Art Directors.